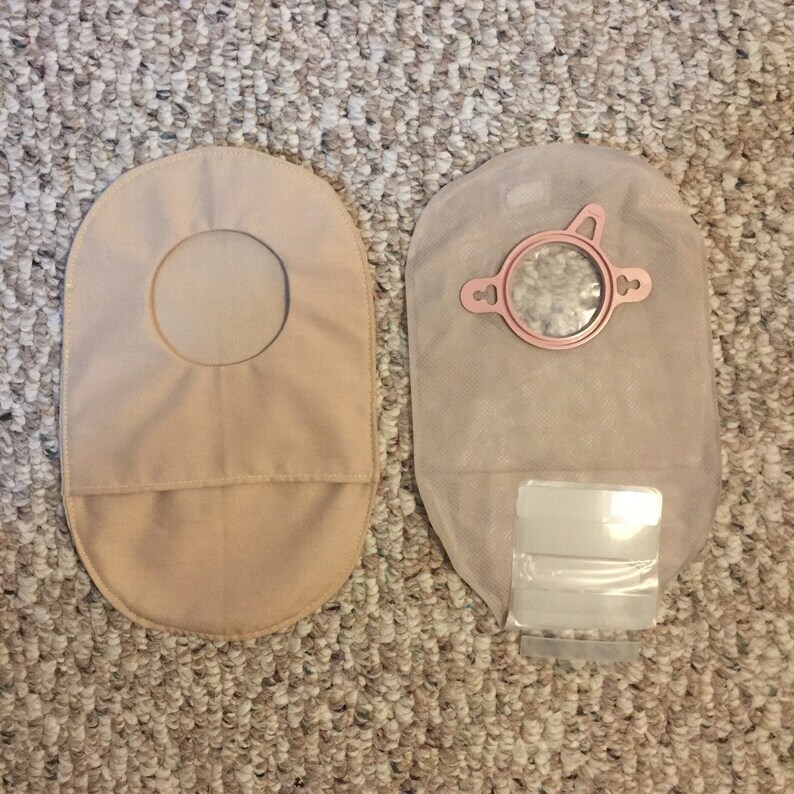 Enjoy the discretion this beige ostomy cover will provide. It fits flange sizes of 1 3/4" and 2 1/4". The bottom of this bag is closed and at the back you simply fold the drain flap up and feed through the overlapped fabric.